Are you trying to get your foot in the door with new selling opportunities, but the door gets slammed in your face when your prospects don’t honor the meeting time you both agreed to? It’s frustrating when this happens, and unfortunately, it happens to all sales people. You might find yourself wondering if there’s a trick is to increase the number of appointments honored by prospects? The good news is the solution is simple – calendar invites. Calendar invites are an easy, yet effective way to increase the number of appointments honored by prospects. There are a few keys to being successful with calendar invites. For a phone meeting, if the prospect either confirms or does not respond to your calendar invite, make sure you are on time for the appointment. 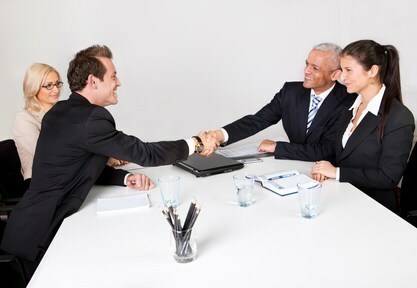 It’s important to show your prospect you respect their time and appreciate their willingness to accept an appointment. For a face-to-face meeting, if the prospect does not respond to your calendar invite, you have a few options, depending on how important the opportunity is to you. If the opportunity is of high importance, show up on time for the appointment. However, if it’s a less important opportunity or a lot of travel is required, attempt to reconnect via phone or email before attending the appointment. If your prospect declines the calendar invite, don’t worry. Respect the fact that something unexpected might have come up on their end and send them a message suggesting a few dates/times for rescheduling the appointment. At the end of the day, calendar invites are a simple way to increase the number of appointments honored by prospects. Not only does it remind them of their commitment, but it also shows them that you are on the ball. As a sales professional, the origin of a lead is important to know, especially when establishing expectation for a lead. Lead generation is not a cookie-cutter process and because of this, all leads are not equal. Understanding the difference between qualified leads helps to properly layout your sales strategy for each individual opportunity as you advance it through the sales process. 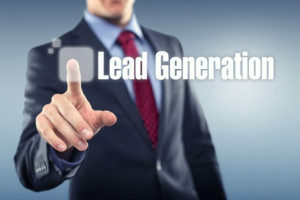 Commonly, sales people will look at each of these avenues of lead generation as equal, or very similar. Therefore, a sales person will subconsciously assign the same level of expectation and approach to all leads, no matter its origin. With this mindset, some leads will fall short of expectation, no matter how good they are. Additionally, leads run the risk of dying if opportunities are not properly planned and nurtured. Selling opportunities created by the buyer are usually the most qualified and advance through the sales cycle faster than seller-generated leads. This can be attributed to the fact that the buyer has a need and is looking for a solution; the need is creating enough pain that the buyer starts actively looking for a company who can solve the problem. Not much legwork, such as cold calling and other telemarketing efforts, is required of the sales person up to this point. From a typical sales person’s expectation, these are the best kind of leads to receive. However, downsides exist. Commonly, there are not enough buyer-generated leads to satisfy sales quotas and sales people have little control on generating a volume of them (referral or word-of-mouth). Also, they can become expensive to produce (online and social media advertising). Ultimately, in most business-to-business situations, there are not enough of these leads to fully distribute to and satisfy a whole sales team – certainly not enough to achieve overall company sales success. Selling opportunities created through seller-generation usually occur when a sales person initiates activity that stimulates conversation (i.e. : cold calling, telemarketing, email or mail campaigns) with a prospective company. Conversation usually starts with probing-type questions. If you are lucky and the timing is right, good questions become the start of a new lead opportunity. In this situation, similarly to buyer-generated leads, your Q&A session will coincide with an existing pain the prospect might be dealing with; however, this is the exception, not the rule. Read more about how to write a telemarketing script. More frequently, you will stimulate a level of interest. But, timing is dependent upon many less controllable factors such as being inside an existing agreement term, the need for the prospect to research new solutions, or the prospect having to decide if making a change to your solution is worth the effort. It is important to recognize the point in a prospect’s journey where you, as the seller, get involved. With seller-generated leads, the journey begins when the prospect expresses a level of pain associated with their current solution. With buyer-generated leads, the journey is well underway by the time the sales person gets involved. Understanding your point of entry will help guide you into setting proper time lines, expectations, and upcoming sales strategy. A seller-generated lead can feel colder early on because the buyer is at an earlier stage in the journey; however, when properly nurtured, the selling opportunity becomes more valuable. During this development, you start building a relationship with the prospect, which ultimately becomes an advantage for you. Frequently, seller-generated leads have fewer competitors involved. Expressing a level of pain by the prospect and the action you take to resolve this pain can take time and sales skill to advance. Because of this, it is important to apply a fair expectation on each, as the value of each opportunity is different and the amount of time and work involved with each opportunity varies. The close rate of buyer-generated leads is higher than seller-generated leads; however, there is a finite number of buyer-generated leads available and that number is not enough to satisfy company sales goals in most business-to-business environments. This is the point where it becomes important to realize the value of seller-generated lead generation. In most organizations, sales professionals should also maintain an adequate number of these leads inside the sales funnel. In almost any instance, a proper balance of buyer-generated and seller-generated leads are required for a company to be successful and exceed sales goals. With both types of leads inside the sales funnel, always remember the difference between qualified leads. For more information on this topic, please contact Mike Dunlap at miked@dunlapmarketing.com. Is there a best time of day to call a prospect when you are doing your own lead generation or appointment setting? I have this question asked quite often. In the big picture, there probably is a best time to call a prospect; the problem is we usually don’t know what the best time is for each prospect that needs to be called. Because of this, the worst thing to happen is not to call the prospects at all. Commonly, if you wait for the best time, the time may never come. Or, by putting off making a call until the “best time”, you get distracted by something else and the call never gets made. Rather than trying to time your calls perfectly, just make them, especially when you are trying to develop a new list of prospects where there is no existing relationship. The game of numbers almost always plays to your advantage if you are making your calls. What is guaranteed is you will never connect with a prospect unless you make a call. As you develop your list of new prospects, call them, and capturing important information, you also learn what certain people’s behaviors are. As you learn, you might be able to time your future calls better. In my opinion, it’s acceptable to call at 8:00AM Monday morning, and it’s acceptable to call at 5:00PM on a Friday afternoon. Not everyone starts Monday late or leaves early on Friday afternoons. A great time to catch me is a Friday afternoon, late into the day. I find that our office gets quiet and I become very productive. 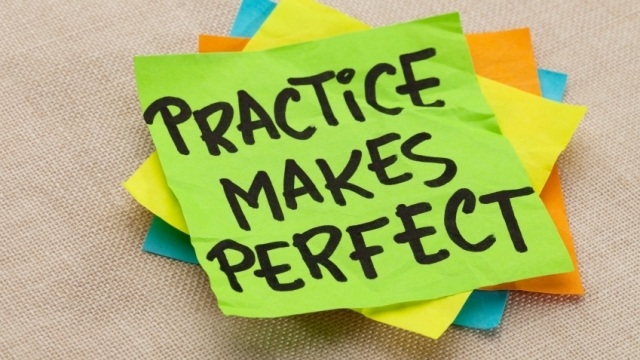 “Practice makes perfect!” We all grew up hearing this phrase from our parents, teachers, and coaches. While this phrase has proven to be accurate in sports and schoolwork, have you ever considered it for your telemarketing efforts? As discussed in “Writing a Script for a Telemarketing Campaign”, having a script is vital to successfully executing a telemarketing campaign. This notion can seem somewhat black-and-white. However, what is not always black-and-white is the notion of practice. 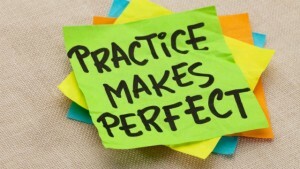 There are two different components of practice when it comes to telemarketing: practicing the script and practicing with your staff, commonly known as role-playing. These two go hand-in-hand and are equally important. It is amazing how differently a freshly written script sounds when you hear it spoken out loud as opposed to when you write it and read it silently to yourself. Practice allows you to identify the weaknesses of your message and subsequently, correct those weaknesses prior to going live with calls. In some businesses, prospect database records are very valuable. There are not enough records to waste during early stage phone calls where the process has yet to be refined. Testing a script in a role-play environment helps preserve the value of prospect records. Almost always, you are going to find the opportunity to refine, improve, and provide more clarity to a message during a testing phase. Testing the message will also help develop a more complete list of common objectives and FAQs, as well as prepare appropriate responses to commonly asked questions. Role-playing is one of the more nerve-wracking elements of a telemarketer’s job. This can be seen as the “down-side” of it; however, the good news is that role-playing is the best training for when the calls go live. It offers benefits such as feeling comfortable navigating the script, becoming familiar with common industry terms, and an all around feeling of preparedness. It is difficult to find shortcuts when it comes to the act of preparation. Your employees should competently represent your company if they have spent 30-60 minutes speaking the message and addressing common questions and challenges during a role-playing session. The 30-60 minutes of practice makes the assumption that the staff is already experienced at making prospecting calls or is knowledgeable in the area of your product and/or services. If the caller does not have either area of experience, role-play will take longer, but it will be time well spent. Try to create an environment where you can minimize nervousness. Once your staff is prepared, the next step is to go live with calls. Stay tuned for our next article, which will focus on key points of going live with telemarketing calls.